Part I (26th Feb) will see you making and baking choux paste – and learning how to feel your way to that elusive moment your choux pastry is ready. 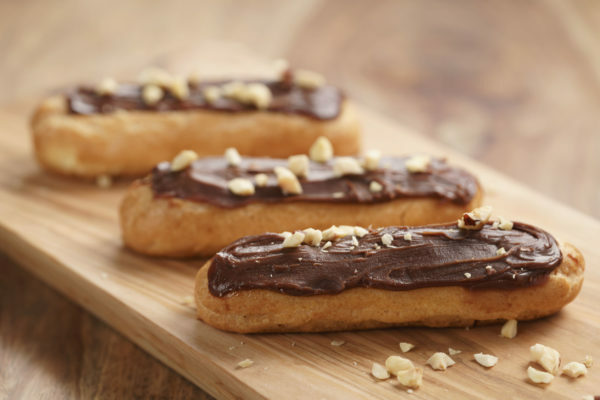 You will make delicious crème pâtissière for filling your choux buns and the smoothest of chocolate ganaches to decorate them. In Part II (5th Mar, booked separately), you will perfect your art of sweet pastry making, producing French-style sweet pastry tartlets. This workshop is part of a series of classes about patisserie skills. If booking both workshops in the series, choose the drop-down “PatisserieSeries” and receive 20% off each class place.